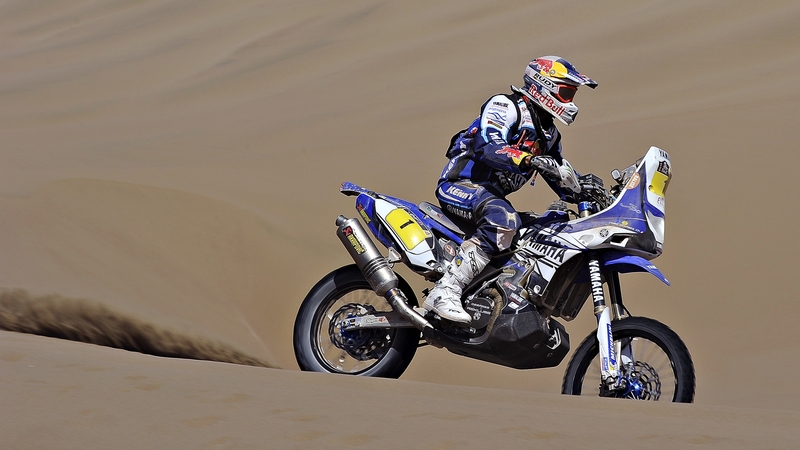 Strong rides by both Cyril Despres and Olivier Pain on stage ten of the 2014 Dakar Rally have seen them move further up the overall standings today. The 631km special stage between Iquique and Antofagasta required all the skill of the Yamaha Factory Racing riders to conquer the fesh-fesh and sand along the coast line of Chile. Despres was the fastest Yamaha rider of the day, completing the timed section in third to move up two places in the overall standings to sixth. Despres is now just 26 minutes and 24 seconds from the top three. Olivier Pain was not far behind Despres, coming home in fourth today to move up to fourth in the overall standings, just 14 minutes and 9 seconds from the podium. Fellow Frenchman and third Yamaha Factory rider Michael Metge had a less successful tenth stage. Having found a good pace and holding good time, Metge fell whilst leaving the track to overtake a slower rider, costing valuable time and dropping him to 20th. Despite the result he Metge moves up a place to 13th overall. The leading Yamaha 700 quads were again the machines to beat in the quad class, taking the top three positions on the stage. Russian Sergey Karyakin took the win with Chile’s Ignacio Casale in second and Uruguay’s Sergio Lafuente in third. The results mean Casale sits in top overall with Lafuente second and Polish rider Rafal Sonik rounds out the Yamaha top three. “Now, with Viladoms’s penalty and the time I took off him today, I’m just over 14 minutes off the podium and hopefully he’s feeling the pressure. For my part I’d rather push for the third than settle for 4th — it was the objective I gave myself at the start of the rally and I’m sticking to it. The problem is that ‘they’ are coming up behind me and I while 3rd is a possibility 7th is also a possibility!